November 13, 2017 — Comments are off for this post. 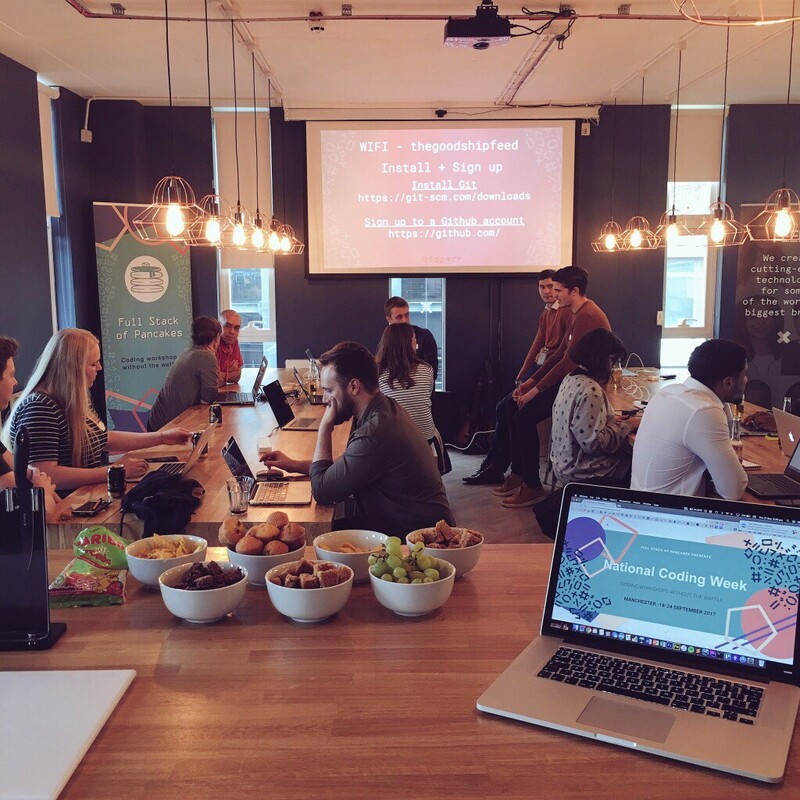 During National Coding Week in September, Feed Manchester hosted an evening workshop. Mentors from Manchester University were recruited to lead a discussion on GIT version control, consisting of an informative talk and a variety of tutorials. Around 30 people came from across Manchester to participate, alongside Feed staff who were keen to learn more. It was a fun and informative night enjoyed by all (including a few non-techies who took part). Look out for more events like this from us in the future.